Junior Ocieleta is a womens service organization of approximately 30 members from the Claremore, Oklahoma area. We have one major fundraiser each year, the Christmas Home Tour held the first Saturday in December. 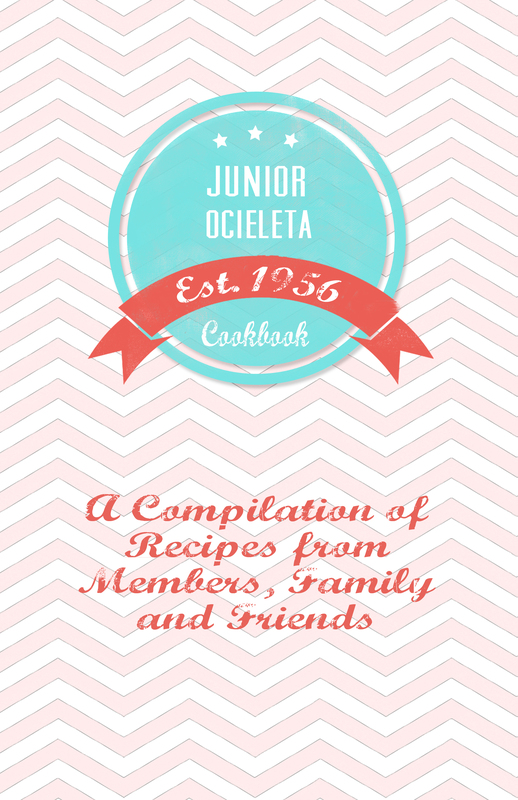 Money raised from this event and other fundraisers, such as this cookbook, are used to support many local community needs and organizations as well as our annual scholarship. Place the potatoes and salt in large pot of water. Bring water to a boil, then lower heat and simmer for 10 minutes, until potatoes are barely tender when pierced with a fork. Drain the potatoes in a colander, then place the colander with the potatoes over the empty pot and cover with a clean, dry kitchen towel. Let potatoes steam for 15 minutes. Meanwhile, in a small bowl, whisk the mayo, buttermilk, Dijon mustard, whole grain mustard, dill, salt, and pepper. When the potatoes are cool enough to handle, cut then in quarters or halves, depending on their size. Place the cut potatoes in a large bowl. While the potatoes are still warm, pour enough dressing over them to moisten. (As the salad sits, you may need to add more dressing). Toss well, cover, and let flavors blend for about 30 minutes before serving. Best served warm or room temp but can be served cold too.